For me the great are no match. flounders softly in the slush of the heart. for lack of something to shout or say. take/share 6 photographs of things you see every day. one batch, that is, of 6 photos. the sun coming up over the buildings across the street? excellent. 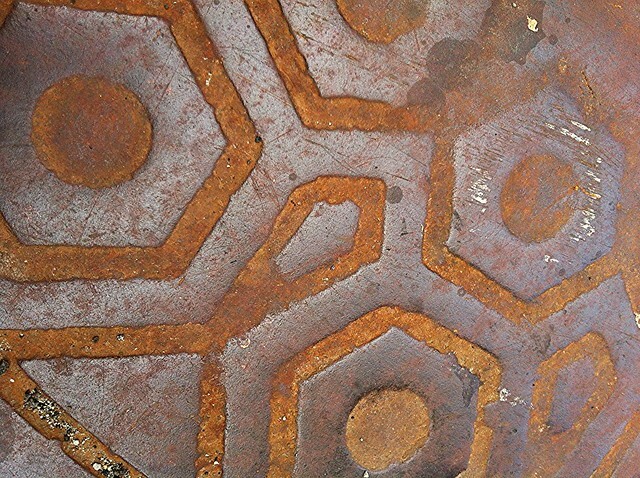 a rusty-but-stately old manhole cover on the sidewalk outside your apartment (above, an everyday sight of mine)? delicious. your own feet in the shower? sure, if you want to take things in that direction. i tag you 6: baby jo, dave, erin, lisa (east), lisa (west), and sarah.